Does the law firm have a track record of successful jury verdicts? Does the firm have board-certified civil trial lawyers? What is the law firm’s rating by Martindale-Hubbell®? Does the law firm specialize in and limit its practice to only personal injury and wrongful death cases? Has the law firm experienced enough success to give it the resources needed to go up against the big insurance companies? Will you have to pay the lawyer out of your pocket? Any injury lawyer can plaster names and faces on bus stops and billboards. Phone books are loaded with splashy ads. Daytime TV is saturated with talking head lawyers with clever jingles. None of that tells you how good they are or if they are right for your case. The information you need in order to make the important decision about which personal injury lawyer to hire can’t be communicated with a billboard, a headline or 30-second TV spot. It is simply not the best way to choose an attorney. The Florida Bar requires virtually all attorney advertisements to include the phrase, “The hiring of a lawyer is an important decision that should not be based solely upon advertisements. Before you decide, ask us to send you written information about our qualifications and experience.” Our personal injury attorneys couldn’t agree more. At Heintz & Becker, we believe that qualifications, experience and resources are the best things to look for during your decision process. Do you want to find the best personal injury lawyer for your case? Then before you hire an attorney, get the answers to the six questions below. Contact a Bradenton and Sarasota personal injury lawyer to schedule a consultation with our attorneys. 1. Does the Law Firm Have a Track Record of Successful Jury Verdicts? A personal injury lawyer who has a track record of successful jury verdicts is in an excellent position to negotiate good settlements. Our numerous and substantial courtroom victories have paved our way to securing millions of dollars in settlements on behalf of clients every year. Your attorney’s track record can make a crucial difference in the amount that an insurance company will offer. Heintz & Becker has the courtroom experience and success that result in better settlements. 2. Does the Firm Have Board-Certified Civil Trial Lawyers? Bradenton and Sarasota-area personal injury lawyers Steven E. Heintz and David S. Becker are board-certified as civil trial specialists by the Florida Bar. Steven E. Heintz is also board-certified in civil trial by the National Board of Trial Advocacy. Less than 2 percent of Florida lawyers are board-certified in civil trial by the Florida Bar, while less than half of one percent of lawyers in the state are board-certified by the National Board of Trial Advocacy. 3. What is the Law Firm’s Rating by Martindale-Hubbell®? Martindale-Hubbell® is the most comprehensive ratings publication covering lawyers in the world. Each rating is the result of a peer review system based upon the confidential opinions of practicing attorneys and judges. Heintz & Becker has been awarded by Martindale-Hubbell® with the highest possible mark, an “AV” rating. The “A” signifies highest levels of legal ability, while the “V” signifies adherence to professional standards of conduct, ethics, reliability and diligence, along with other relevant factors. 4. Does the Law Firm Specialize In and Limit Its Practice to Only Personal Injury and Wrongful Death Cases? We do. Would you go to a foot doctor for brain surgery? You should be certain that your personal injury lawyer only practices in personal injury. Don’t be confused about workers’ compensation lawyers. Although workers’ compensation involves injury, the law and rules are very different in personal injury cases. We do specialize in and limit our practice to only serious injury and wrongful death cases. Attorneys Steven Heintz and David Becker provide experienced representation to auto accident and catastrophic injury victims. Contact a Bradenton and Sarasota, Florida-area personal injury lawyer for a free, no-obligation case consultation. 5. Has the Law Firm Experienced Enough Success to Give It the Resources Needed to Go Up Against the Big Insurance Companies? 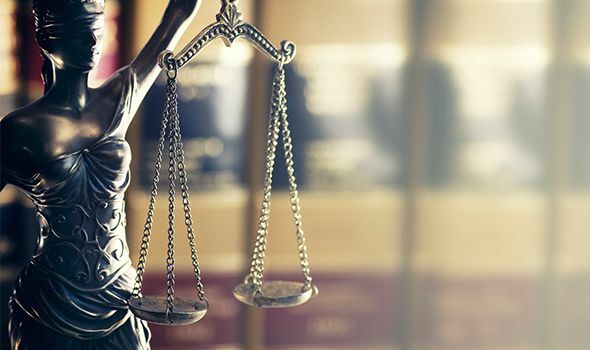 Lawsuits may be won or lost based not only on the skills and qualifications of the trial lawyers, but also upon the skills and qualifications of expert witnesses. Insurance companies spend great sums of money to hire highly qualified professional witnesses. At Heintz & Becker, we have the financial resources to match and beat even the largest insurance company. And we have done so. We have obtained many substantial verdicts and settlements on behalf of our clients. We can help you too. 6. Will You Have to Pay the Lawyer Out of Your Pocket? At our office, the answer is always NO. Some law firms require the client to pay all costs as they are incurred, while other firms advance costs but require the client to repay them at the conclusion of the case, regardless of the result. At Heintz & Becker, our attorneys work on a contingency basis. We get reimbursed only if you receive a recovery. Our consultation and case review is free, and our clients pay us nothing if we do not secure recoveries on their behalf. When you are weighing your options and trying to choose the right personal injury lawyer for you, be aware that the attorneys of Heintz & Becker take great care to ensure that each client receives personalized attention. We have the experience and the credentials. We have obtained significant verdicts and settlements on behalf of many Florida clients and have the knowledge and experience needed to get the fair compensation you deserve. If you or a loved one has sustained a serious personal injury in a car, truck or motorcycle accident, on the job or elsewhere, our attorneys may be able to help you obtain the financial compensation to which you are entitled. Contact a Bradenton and Sarasota personal injury lawyer to schedule a free consultation.